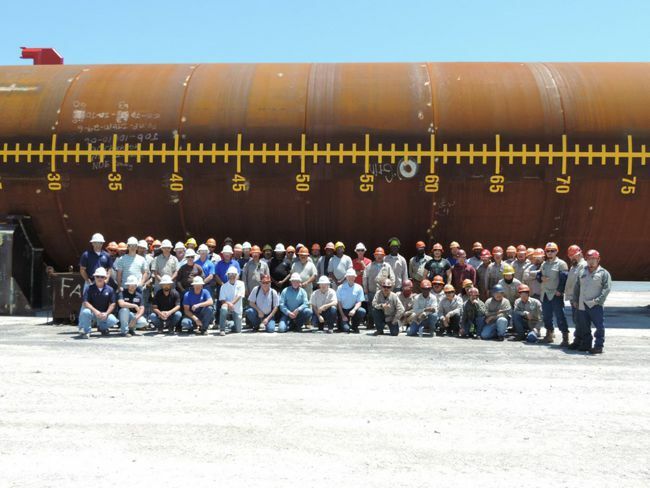 Fabrication started last September at InterMoor’s Morgan City facility, manufacturing four manifold piles for McDermott on ExxonMobil’s Julia project. Two piles are 45ft. long, one is 65ft. long and the longest one is 103ft. The piles are 20ft. 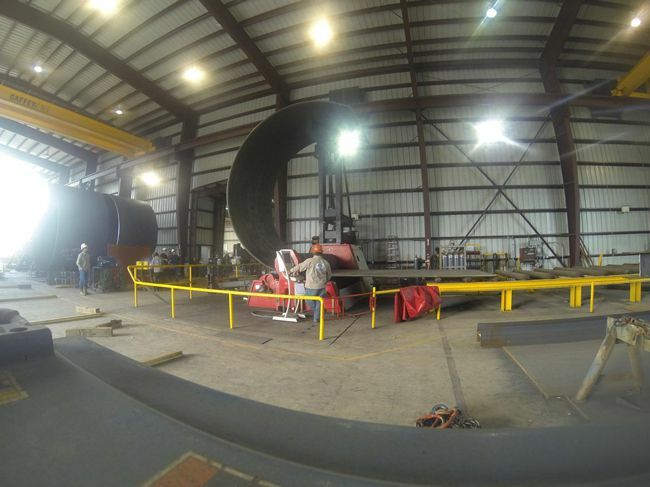 diameter, which is the largest rolled by InterMoor to date. Their weight ranges from 66 to 277 Tons. The deepwater Julia oil field is located 265 mi (426 km) southwest of New Orleans in the GoM Walker Ridge area in water depths of approximately 7,000 ft (2,134 m). Throughout the project, McDermott, ExxonMobil and InterMoor worked closely together to ensure the Julia project was delivered safely. 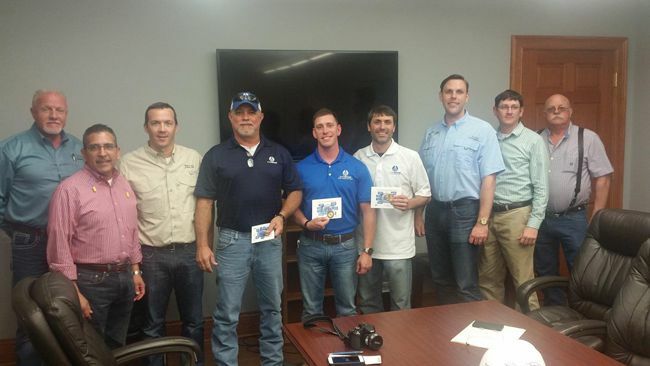 McDermott and ExxonMobil recognized members of the project team for their positive impact on the project. 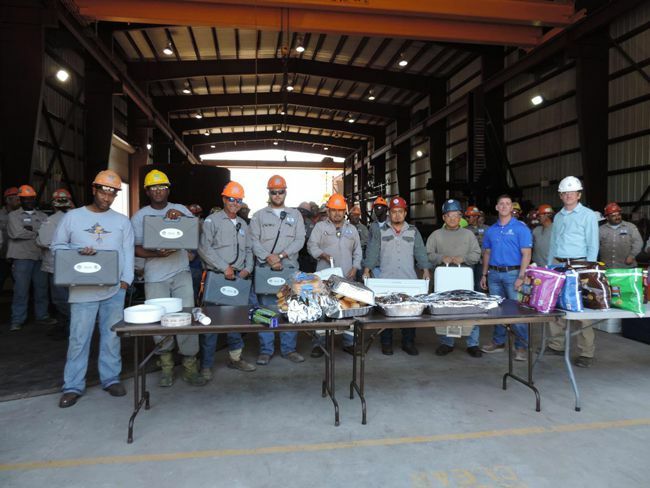 An HSE Recognition Lunch for the McDermott Julia Project also took place on 4-30-2015. 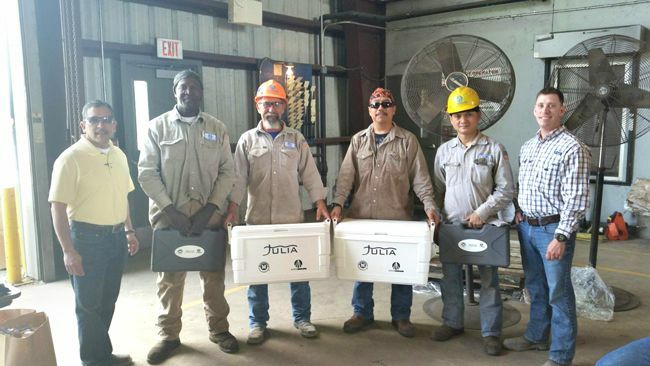 Selected employees received tool boxes and ice chests in recognition for their dedication to safety throughout the month of April on the project.